Automated E-Learning HEKASI Social Studies Reviewer (GS) for NAT etc. This Automated E-Learning HEKASI Social Studies Reviewer (GS) for NAT etc. was made to help people prepare for National Achivement Test (esp. Grade 6 and Higshschool) and others. Read more about Automated E-Learning HEKASI Social Studies Reviewer (GS) for NAT etc. On the other hand, the NAT for Fourth yr serves as assessment of whole learning. 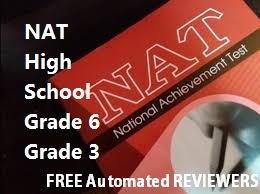 This Free NAT Araling Panlipunan Reviewer for High School is for the National Achievement Test--an annual examination given to Grade sixth and tenth students in the Philippines. 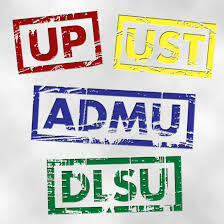 The students' knowledge and mastery over the subjects English, Mathematics, Science, Filipino, and Hekasi is measured using a multiple choice type of test. The examination is administered by the Department of Education's National Educational Testing and Research Center (NETRC). Angelica R. Pueyo, Quinnie c. Maneclang, Jeanel M. Mendoza and Rachel D. Quistol. This Free NAT HIGH SCHOOL Araling Panlipunan REVIEWER is for the National Achievement Test (NAT) -- an examination given annually in March to assess the competency of both public and private school students. A score of 75% and up indicates mastery of the subject and 50% to less than 75%, near mastery; while a score of below 50% indicates low mastery. This reviewer is about Araling Panlipunan (A.P.) (Social Studies). 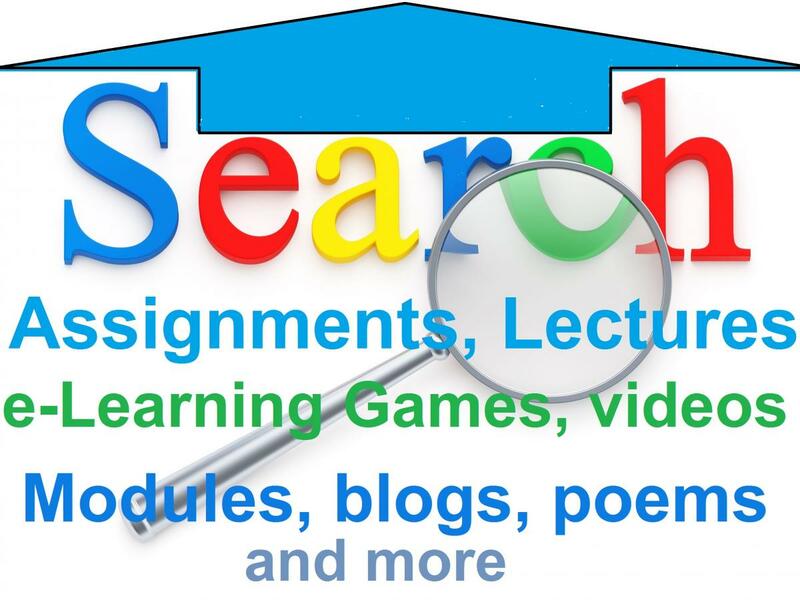 It covers information in economics, world, philosophers, reformists, stone ages, and so on that are related to the subject matters studied in the subject (high school level). Jenny Ann Teaño, Kathiryn Ginoy, Dawn Teotico, Madel Valencia and Renalyn Rañola. EMILIO AGUINALDO Y FAMY is the officially recognized Philippines’ first president. He was the youngest to have become the country's highest official (at age 29) and the Filipino president to have outlived the most number of his successors. 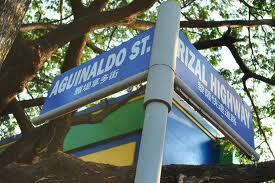 Born on March 22, 1869, Aguinaldo was eight-year younger than Jose Rizal. Emilio was the seventh of the eight children of a rich and well known Chinese mestizo couple, Carlos Aguinaldo and Trinidad Famy, in Cavite Viejo (present-day Kawit), Cavite. His father was once appointed as the town’s ‘gobernadorcillo’ (municipal governor). When Emilio was 17 years old, he became the ‘Cabeza de Barangay’ of Binakayan’, a main barrio of their town. In 1895, he became Cavite Viejo’s ‘capitan municipal’ at the age of 26. BORN ON November 30, 1863, Andres Bonifacio y de Castro, founder and later the ‘Supremo’ (supreme leader) of the Katipunan, was two-year younger than Jose Rizal. 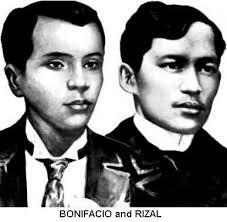 Bonifacio was the eldest of five children of Santiago Bonifacio, a tailor who served as a teniente mayor of Tondo, Manila, and Catalina de Castro, a mestiza born of a Spanish father and a Filipino-Chinese mother. When his parents died of sickness, Andres stopped attending school to support his siblings. He made and sold canes and paper fans, crafted posters for commercial firms, worked in the British trading firm ‘Fleming and Company’, later transferred as storehouse worker to the German trading firm ‘Fressell and Company’, and even moonlighted as an actor in moro-moro plays.